to show the scale of operations of a global energy company. 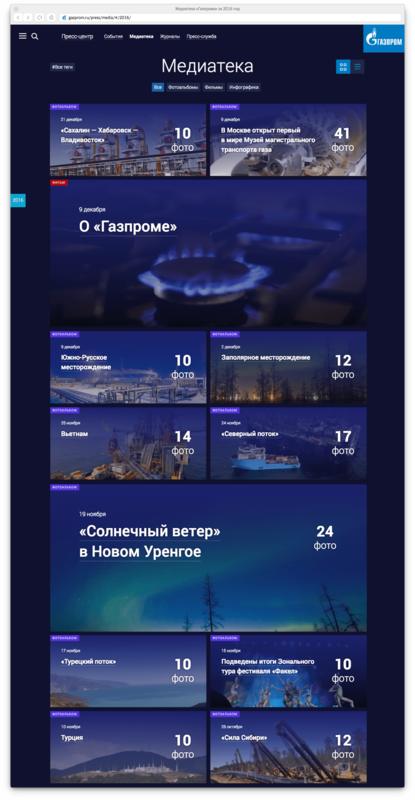 Gazprom holds the world's largest natural gas reserves. The company conducts exploration, produces hydrocarbon crude and develops deposits in Europe, Asia, Africa, the Middle East and Latin America. 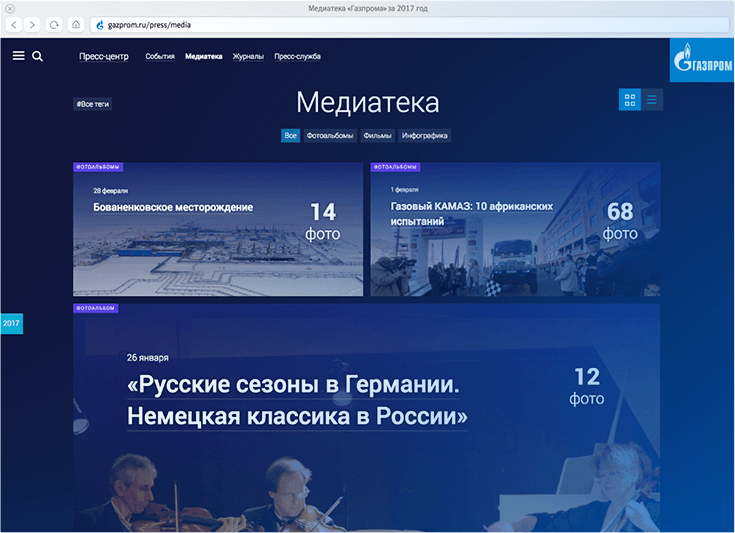 The website created at the studio focuses on the company’s major projects and latest news. 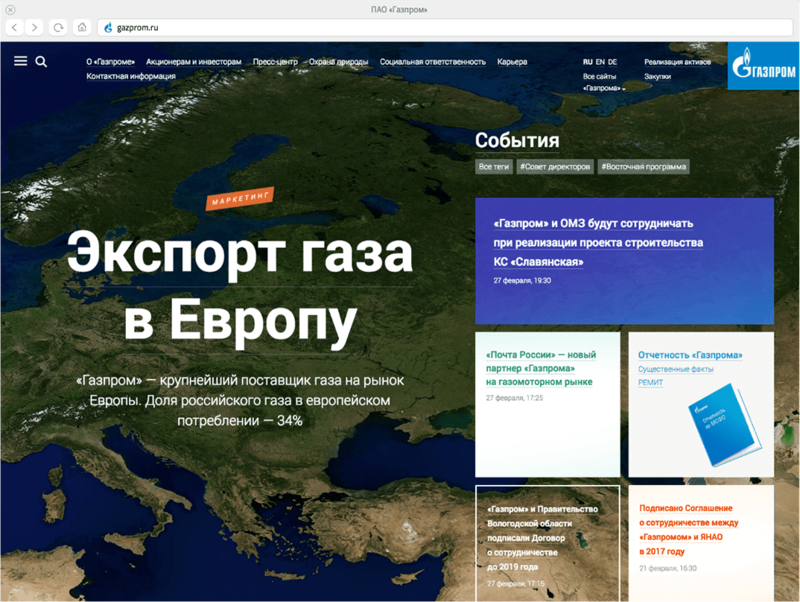 For the news blocks on the main page a set of styles was created that turns the endless stream of information into an exciting feed that is interesting to explore. 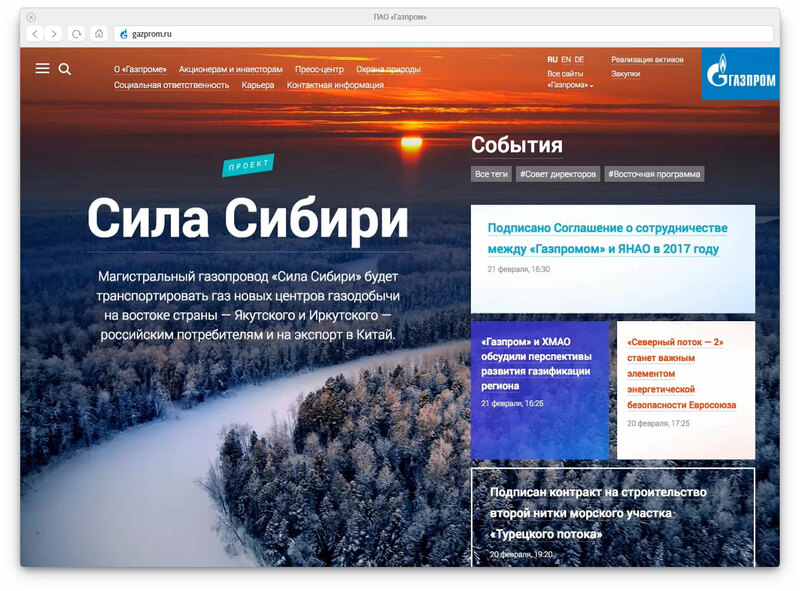 Templates set up by the site’s content manager allow to easily emphasize important news and make formatting similar materials easier. 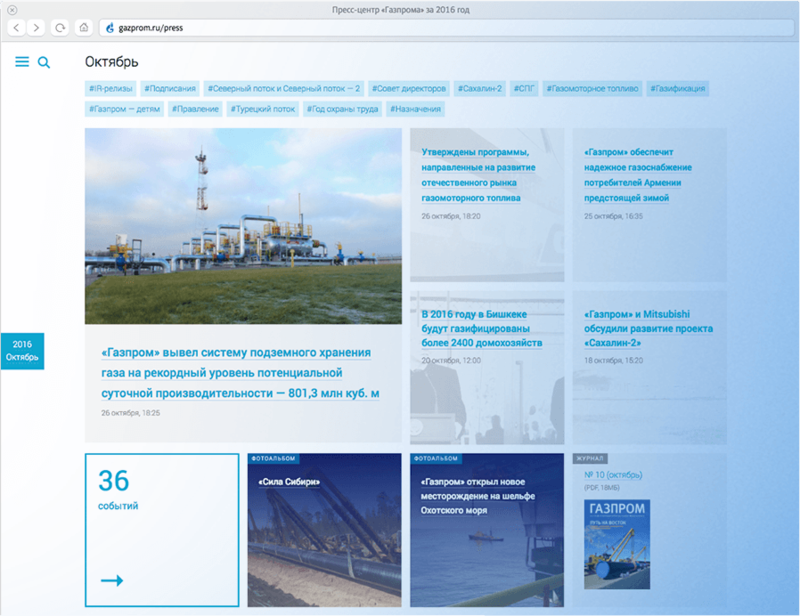 Every day, hundreds of journalists and investors use the Gazprom website as a source of official information. Event reports, press releases, photos and videos are collected in one large section whose main page contains brief monthly compilations. Finding information on the website is now easier thanks to a system of tags. They help limit search results by section or topic. Collections of photographs and videos are presented in a single section. Albums make navigating images and videos easier.